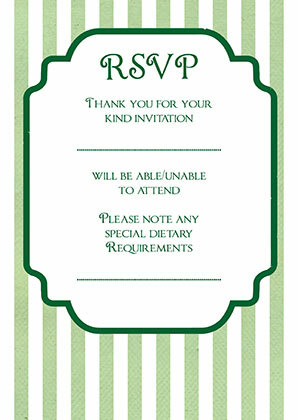 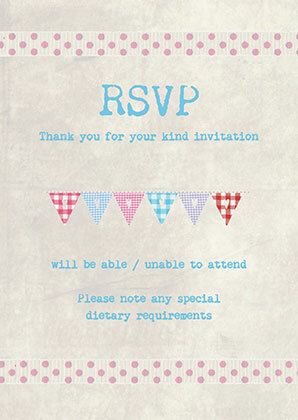 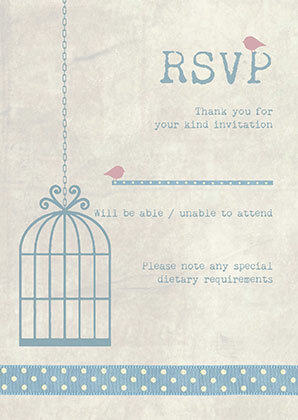 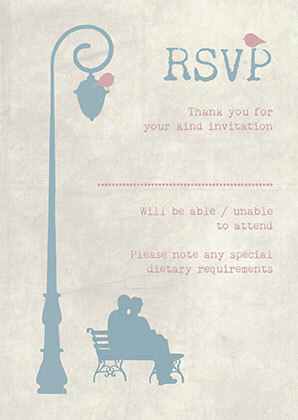 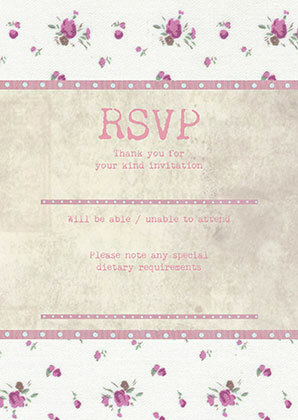 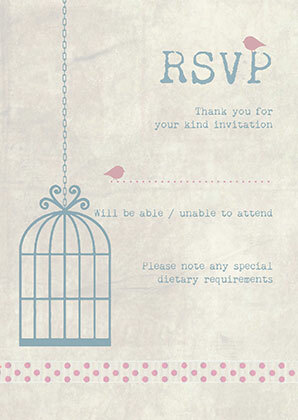 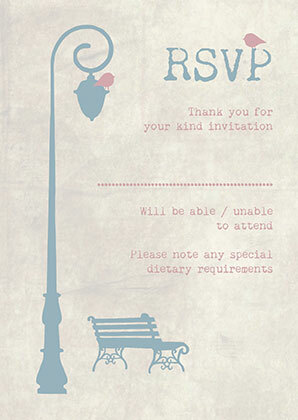 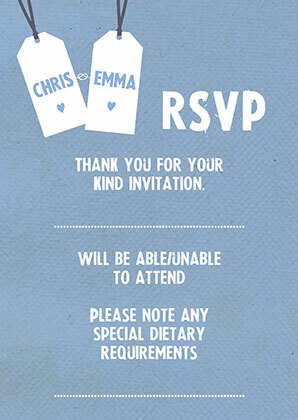 RSVP cards are a great way of making sure you get all your guests’ responses back in good time! 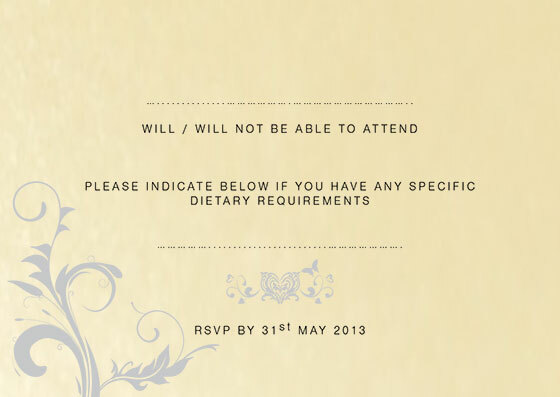 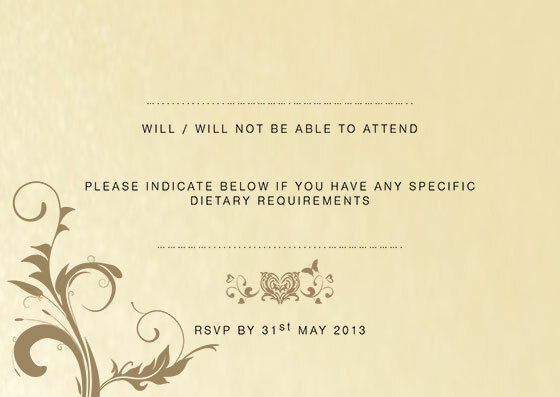 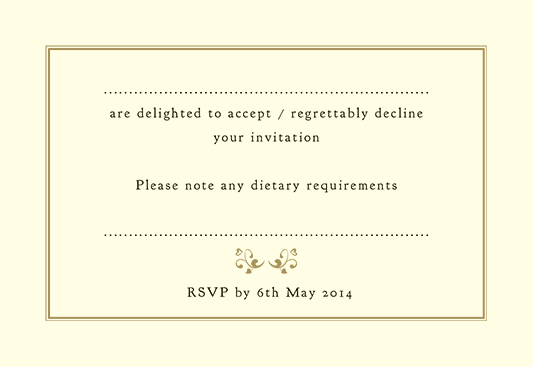 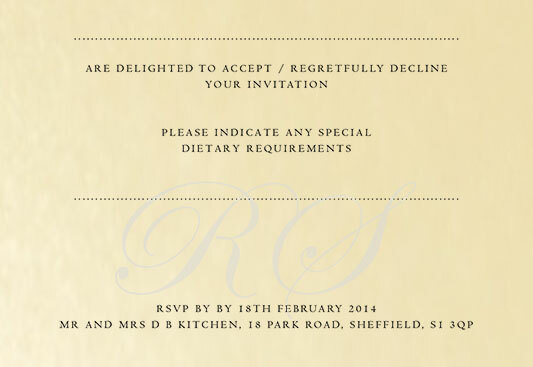 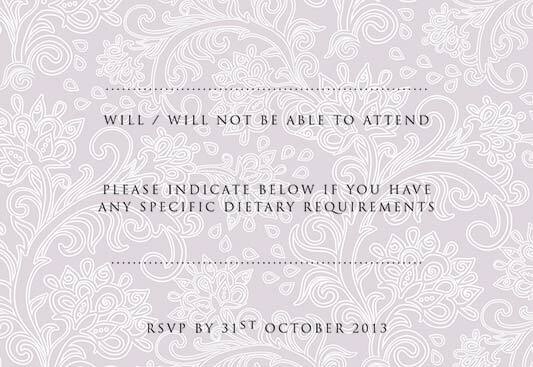 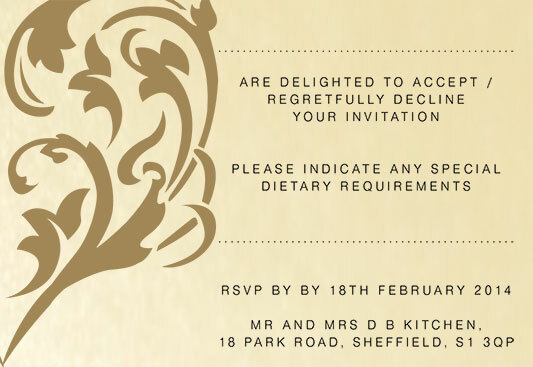 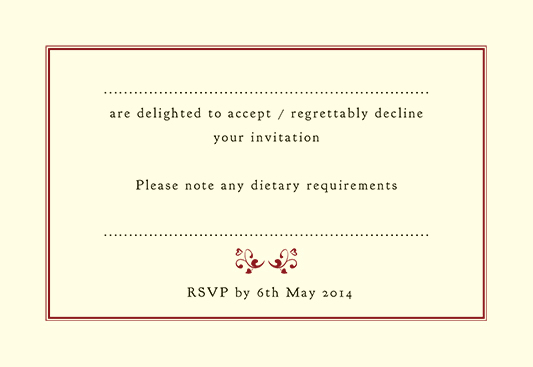 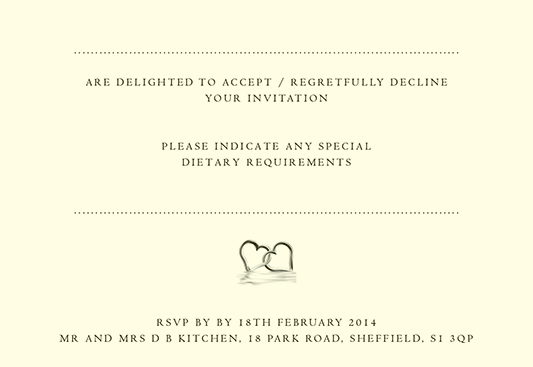 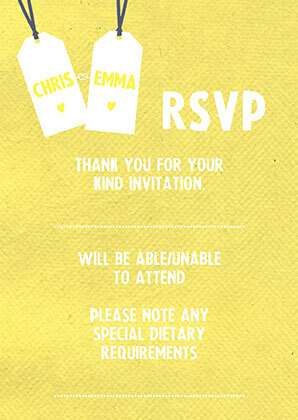 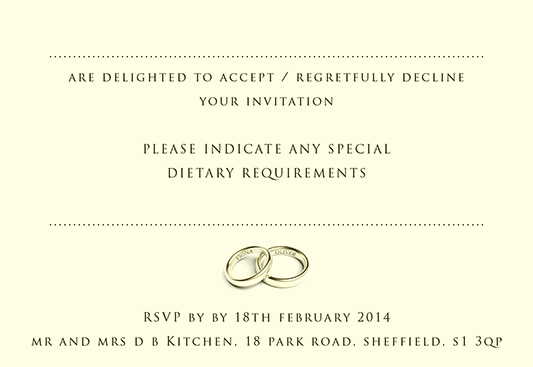 Our RSVPs are 9.7×14.1cm and come with envelopes and they all fit inside your invitation envelopes. 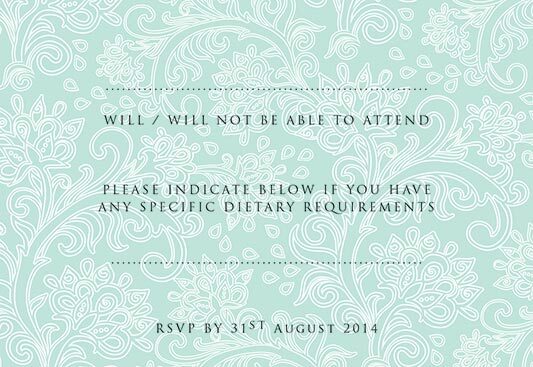 Don’t forget, if you don’t see exactly what you like here, we can alter any colour or font, tweak the design or come up with something brand new to suit your requirements – just ask!